Fiorenza love struck gown is about the emotion and rush you feel when you are falling in love and going for it. Those heart – pounding moments of spontaneity. 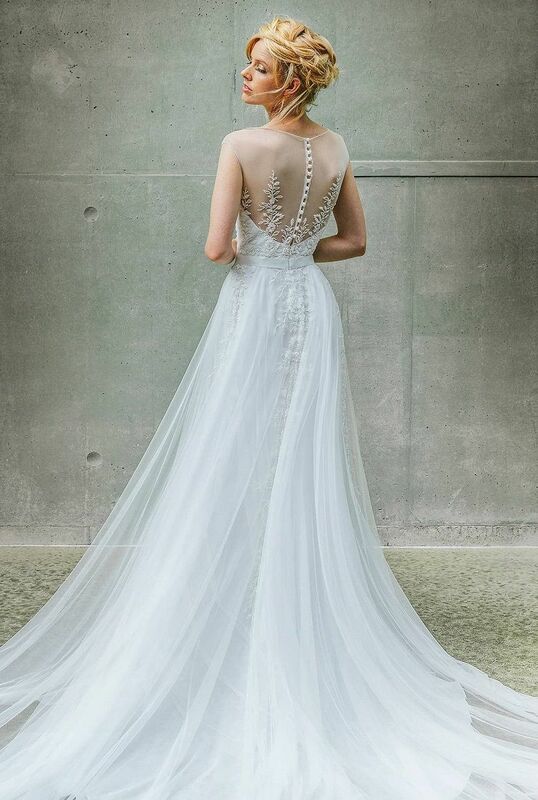 A gown that has such a playful skirt, contrasted with A bodice fitting to the perfection, illusion front and back, worn indoor and outdoor where ever your heart takes you.